Resorting to buying used cars is not a bad idea. For some people who cannot afford to buy brand new cars, second hand cars offer valuable alternatives to saving money for other important matters. Before getting your own car, it pays to do some homework. Think about what you need, what the car will be used for, and your budget. Look in books and online and think about repair costs, safety tests, mileage etc. All this research can save you some serious money and help you avoid being ripped off. Once you’ve chosen the car you want, you have to decide how you are going to pay for it. You can pay the whole amount upfront or you can finance the purchase over time. If you do use financing, you should be aware that this increases the total cost of the car as you must pay for the car plus the credit. Once you have decided on how much you can put down, you can look at the annual percentage rate (APR) of the loan and the length of the loan and see how much your monthly payments will be. Generally speaking, the shorter the term of the loan, the higher the APR. If you are in your teens, cosigning with your parents will help you to get a better rate. You may also want to think about paying in cash for a less expensive car. The first thing you should consider when buying a used car is how much you are willing to spend. Knowing what you can and cannot afford is the first step when buying used cars. Saving money is mainly the reason why most people buy used cars. Another reason is that they want a specific model of a car but cannot afford to buy a brand new one. To get the best deals possible you should research, and research some more. To know how much you can afford you should first figure out your monthly net income. To get the exact figures, you have to first get your total monthly gross income then, deduct all of your monthly expenses like; groceries, insurance, rent payments, mortgage, etc. the result will be your net income. How much am I willing to spend on a car? How much can I afford on monthly payments? While calculating these three important numbers, you should also consider the cost of fuel, registration and insurance. Find out if the vehicles you are interested in are still capable of giving many a good mile to gallon of fuel ratio. Contact your insurance company to know how much your monthly payments will be on each of the cars you are interested in. Give considerations if the vehicles have safety features like airbags, and anti lock braking system or ABS. Insurance companies usually give discounts if the car has these features. 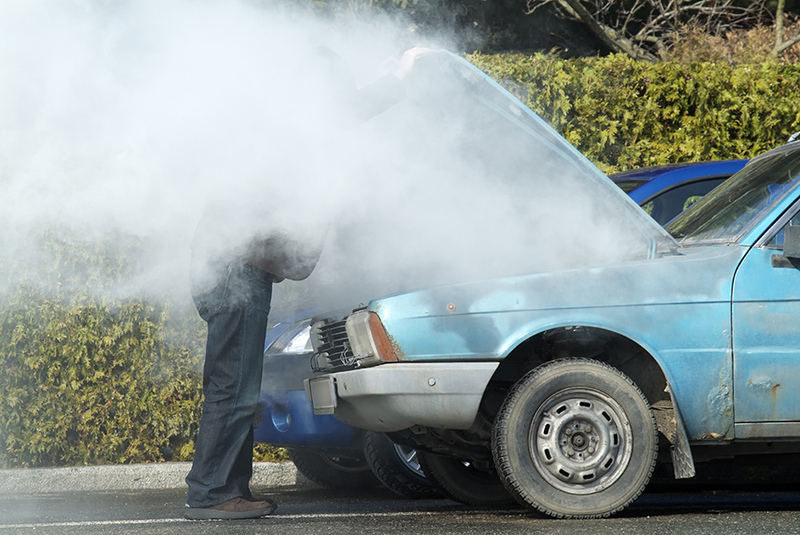 The biggest disadvantage to buying a used car is the lack of warranty. Private sellers often do not include any warranty on the car they are selling. Another problem when you purchase a used car is the risk of buying a junk. You may have purchased the car for a very low price but you could have bought a car that will drain your money on maintenance costs. It is always wise to inspect the car thoroughly first before deciding to buy it. If possible, try to find out about the car’s history. Get some of the car’s service records for you to know a bit about the car’s history. This is an important decision to make. If you buy from a dealer you will generally pay more. But you will benefit from knowing that if there is a problem you can return to the dealer to complain. Many dealers offer warranties and guarantee the quality of the car. On the other hand, buying from an individual will offer less security as the car will generally be sold as is, which means you must bare the cost of any problems that later arise. You also cannot go back and complain to an individual if something they told you turns out to be untrue. That said, buying from an individual can often offer very good value. First of all, they will not add a mark up on the price, which is what a dealer would do if he had bought it first. Also, if you bring along your own mechanic, or someone who knows about cars, you can have it checked out to make sure everything looks ok.
Before you buy the car, make sure you examine it with an inspection checklist. Get a good test drive over varied road conditions and be sure to get the car’s maintenance record. It is also worth having the car inspected by a mechanic if you have serious concerns about it. Finally, before you buy, make sure you are ready to meet all the associated costs of having the car. These include insurance, fuel, maintenance and repairs. It is becoming harder and harder for people to find affordable prices for new or even "pre-owned" vehicles. The cost of extras continues to rise, and even basic models can set an average person back for several years. If you are interested in buying a car, but feel as though you simply do not have the money, a government car auction might be the best opportunity for you. You can find incredible deals, and it is not uncommon for people to save thousands of dollars. The majority of vehicles at a government car auction have been repossessed from criminals or people who have failed to make payments on government loans. There are also government car auction vehicles that are "retired" police cruisers or other government vehicles that are no longer in service. You can usually find a wide range of makes and models, and it is even possible to find classic cars that are not readily available at most dealerships. There are government car auctions across the country, and you locate one in your area by simply contacting local government agencies or searching online. In fact, the Internet has greatly affected the government car auction. There are a number of sites that allow you to bid on vehicles from the comfort of your own home. They can also direct you to parts for salvageable cars at auction. The best sites allow you to quickly search available vehicles, so you can find exactly what you are looking for. Whether bidding online or in person, it is essential to be well-informed before entering into an auction. The point of a government car auction is to save money. If you do not know the true condition of a vehicle, you can end up paying more money than it is actually worth. My wife bought a vehical for about 30% cheaper than book price, but since she did not drive it at highway speeds before buying it she was unaware of rear end bearing issues which created maintenance fees that more than killed off that discount. Generally, used cars buyers will be permitted to take a test drive and also may think about requesting permission to take the automobile to a trusted mechanic for an additional inspection. The best way to confirm that the automobile is in the condition as stated is to take it to a mechanic, who can properly inspect used cars and locate any underlying problems. Even if most used cars are exactly as stated, when auto safety and any amount of money is involved, there is no room for error in judgment. For new cars extended warranties are usually a bad deal, but in some cases they might help protect the investment on a used car. It may be possible to purchase an extended warranty when you buy an used car. Because the original warranty has already expired on most previously owned vehicles, this option is available for the consumer who wants to make sure their purchase is covered. It is important to realize that the warranty is not automatically included in the sticker. In fact, the consumer should ask the dealer specifically about purchasing an extended warranty. More often than not, an extended warranty can be added into the total cost and may even be included in the financing. Some lemon laws provide a baseline level of protection, but when negotiating price on a used car sometimes you can get a warranty included at a discounted price. A used car is also known and called as a pre-owned vehicle. This could be a car, an SUV, a pickup truck, or whatever vehicle that has already been owned by a person. However, for some reason that owner has sold it back to a dealership. If you are thinking of buying that one, then you are buying a used car. Jerry Christopher has been working in the automotive industry for more than two decades. He says even when buying a used car, there are myths that one should be cautious about. After all, he also would like everybody else to get their fair share of the money they are spending on a used vehicle. One myth that Christopher is talking about is that most people think that they should buy a used car that comes from a brand that has been known for making quality vehicles. However, this automobile expert says that even the best model or best make of cars would not be a good buy if the previous owner did not know how to properly maintain it. Sooner or later, as the buyer, you might be experiencing major problems with it that would only cost you much on your pocket. Aside from this, another myth that people scouting for a used vehicle believe in is that once the previous owner of the used car has provided them with the vehicle’s maintenance records, they would be safe from any kind of future problems regarding the vehicle’s performance. However, Christopher says that there are documents that could be fraudulent and fake. He claims that there are dishonest owners who would falsify their records so as to show that they did take good care of the vehicle even if the vehicle did not receive any kind of maintenance during the period that it was under their ownership. What is best to be on the alert about any potential signs of dishonesty on the seller’s end. Aside from this, you should also be ready by knowing the right amount of information on vehicles and their maintenance. Do your homework. Read up about the model of car you're thinking about. Will it perform as you will want? Be aware of any known mechanical problems with that particular model and remember to check them out when you take it for a test drive (see tip 15). Look up the current second hand values for the car. Try starting at online classified websites like Auto Trader and eBay Motors. Also get some of the second hand car magazines and your local paper. Check out the prices being asked for similar cars. Look up the book price in manuals like the Kelly Blue Book. By entering specific information about an automobile, consumers will receive instant value estimates online. In order to get an accurate value, consumers must know the make and model of the automobile, current mileage, additional features and overall condition. Car Insurance is always a major expense. How much will that car cost you to insure? It's easy to find out on the Internet – get a few quotes. It'll just take you ten minutes. Also check out the car's other running costs. We're talking about fuel consumption, servicing and repair bills.Ensure you can afford to run the car! When you see the car insist on seeing its registration documents and, if the car is more than 3 years old, its MOT certificate. The registration documents will also show the cars' VIN number. Carefully check that the documents tally. Always ensure that the person selling the car does actually own it. And always see the car at the seller's own home or business premises. Then ensure that the address on the Registration Document is at the same as the address - if not ask why. You should be suspicious. Examine the Road Tax disc / license plate sticker. Is it still valid? Does the vehicle registration number on the disc match the Registration Document and the number on its number plate? Ask to view the cars' Servicing Record. Usually, this will also show the cars' VIN number and details of the first owner. If the Service record is not available, has the owner kept any of the service or repair bills? Ask to see them. Look under the hood and look for the VIN Number (it could also be on a plate on the inside edge of one of the front doors). Compare the VIN number with the number on the Registration Document and check that the number stamped on the car has not been interfered with. This will help to ensure that the car hasn't had its identity changed. It's best to take a friend with you who knows' about cars – not only to look at the car but also to be a witness for what is said and anything that is agreed. Don't pay for a car on your first visit and try not to be pushed into putting down a deposit. You need to carry out some checks before you part with any money (see 17 below). Ask the owner whether the car is subject to any outstanding finance. Take notes of what he/she says. Then, when you get home, get on the Internet and check out the information provided with RAC Vehicle Status Check. Go to the RAC' web site. Click on “Car Buying” and then “Vehicle Status Checks”. The Status Check will cost you £24.99 but it will confirm whether the car has outstanding finance. Best to be safe – without this Check you could find out that a finance company actually has a prior title to the car. Carefully examine the car in good daylight. Look carefully for signs of repairs and accident damage. If you have followed our advice and obtained a Vehicle Status Check, that Check will also notify you if the car has previously been “written off”. Try to ensure that the car hasn't been “clocked”. (Clocked means that the mileometer has been wound back to show a lower mileage.) The average annual mileage is around 12,000. Be wary if the wear and tear on the car looks greater than you would expect from the mileage. The wear on the driver's pedals is usually a give away. Then ask when the tyres were last replaced. Does the wear on the tyres look about right? Insist on test-driving the car for at least 10/15 miles. You need to get the car fully warmed up and drive it in varying conditions. Incidentally, don't forget to ensure you are insured to drive it! Don't assume that your own insurance policy will cover you for driving someone else's car. Check your policy before you leave home. If the seller claims that his insurance covers you, ask to see his policy – a bit of a pain but better safe than sorry! Has the car ticked all the boxes so far? Then spend some more money get it professionally inspected. Never pay any money until you have seen the results of the RAC Vehicle Status Check or CARFAX Vehicle History Report. And even then, avoid paying any money until the car is handed over to you complete with its Documents and tax disc. Always get a written receipt for any money you pay and ensure that it includes the sellers name and address. The history report will provide details about the level of damage including but not limited to internal and external corrosion, broken parts such as frame damage due to accidental or intentional dilapidation, fluid leaks, corroded electronic main parts and accessories and tarnished frames and the location where the car was originally purchased and dismembered for resale. Additionally, particulars about the source of damage like due to natural phenomenon such as hurricanes and flooding are detailed as well. Make sure you're insured from the moment you drive the car away. The Police can now impound, and ultimately scrap, your car if you're driving it without insurance or road tax! If the car has not got Road Tax disc, call in at the Post Office on the way home and get one. You'll need to show them a valid insurance cover note for the car and the cars up to date MOT Certificate. Research Police Records. Search on the web or through your Federal Emergency Management Agency (FEMA) or local police. These agencies will be able to help you track the legal history related to the used car you are trying to purchase. Stolen cars reported to police agencies are tracked for possible resale. Consulting a police agency would save you from potential headache and probable involvement in the sale of illegal or stolen item. If you've followed all these steps you'll have done just about everything possible to ensure the car is legally yours at the right price, and you haven't bought a scrapper! Selling your old car can prove difficult and time consuming. Most people who tries to sell their used car often gets tired and will just trade it in or sell it in a very low price. Here are a few tips on selling a used car to get you the best deal possible. Once you decide to sell your old car, the first thing you should do is set a price for it. To help you with the actual value of your old car in the market, research the car’s make and model in the internet or in your local used car dealership. Ask around. After you figure out the market value, find out how many vehicles that are similar to yours are in the market, then, increase the price of your old car just a little. This can be helpful when a buyer tries to haggle, which they often do. This gives you an allowance for haggling. The next step would be evaluating your vehicle. List down your old car’s accessories and other added expenses. This would be a good way to further increase your vehicles price. You should also include in your list about the condition of the vehicle. The better the condition the faster it sells. You should also present you car’s service records to the buyer. A service record is a good way to know about the car’s history. If your old car’s service record were clean (no accidents, good maintenance) it would sell faster.